After you read this post you're going to know that I am a crazy cat lady - so I am just going to admit it up front. I'm a crazy cat lady. Last November, my husband and I adopted our first pet as a couple. 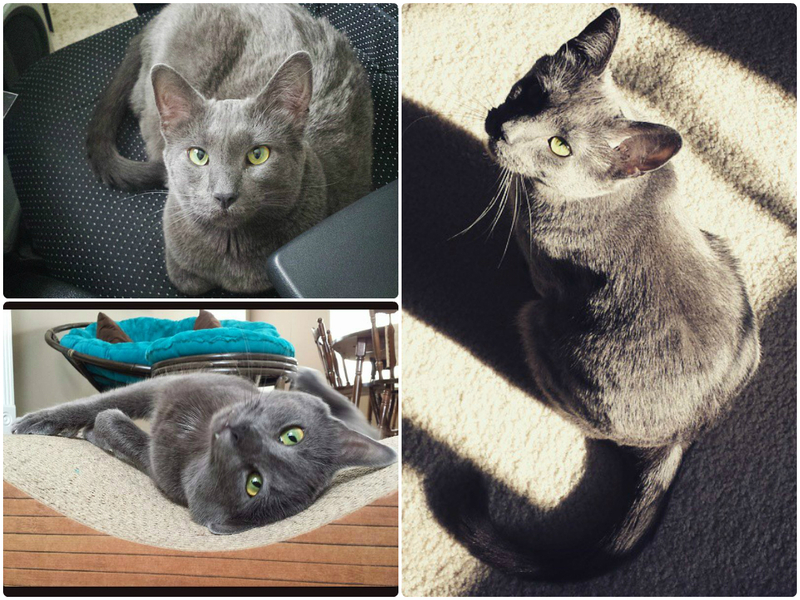 He's an adorable boy named George and is (according to the Humane Society) part Russian Blue. This cat is seriously the most interesting animal I have ever known. His favorite game is fetch, his favorite food is raw spinach, he loves his tummy rubbed, and he's extremely interactive. He's like half dog and half human with a sprinkle of cat. Other than being overly obsessed with my little furbaby by taking excessive pictures of him and buying him new toys all the time, I decided that I wanted to celebrate his birthday as well. Since he was adopted, I have no idea what George's real birthday is, but according to his microchip it's June 1, so that's what I went with. And what is a birthday celebration without dessert? I wanted to make something really easy since his birthday fell during the week. 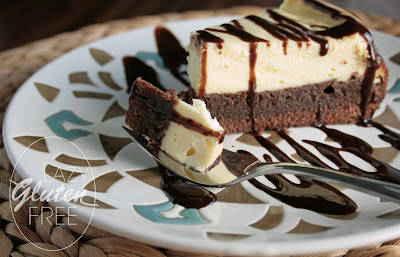 My sister suggested cheesecake, but I wanted something with chocolate. 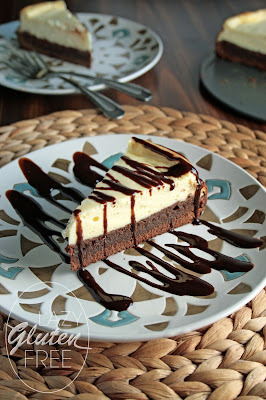 I compromised and settled on this Brownie Cheesecake. Although George could not partake in his birthday dessert, the rest of us enjoyed it immensely. Don't worry, he was perfectly happy with a couple leaves of spinach instead. Happy second birthday Georgie Bee! Preheat oven to 350F and lightly grease a 9-inch round spring-form pan. 1) In a large microwave-safe bowl, heat butter until melted. Break chocolate into small pieces and stir into the warm butter until combined. If needed, you may microwave the mixture in 15-second intervals, stirring in between. Let stand to cool. 2) Once butter and chocolate mixture is somewhat cool, add milk and eggs. Whisk until well combined. Add flour and mix. 3) Pour mixture into prepared spring-form pan and spread to even it out. Bake for 15-20 minutes or until top is cooked. No need to do a toothpick test since you will be putting this back in the oven. Remove from oven and set aside to cool some. Reduce heat to 325F. 4) While the brownie is cooling, mix all cheesecake ingredients until no lumps remain. Pour on top of brownie layer and spread evenly. 5) Bake for 50-55 minutes, or until center of cheesecake is nearly set. 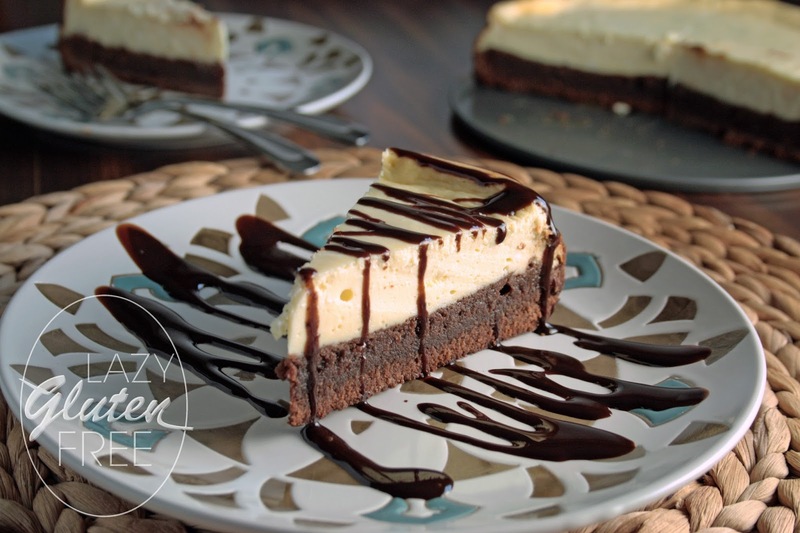 Leave cheesecake in oven, shut off it off, and open to cool for about 15 minutes (this will help prevent sinking, do not leave oven open unattended where kids or pets can burn themselves!). 6) Remove from oven to cool completely. Once cool, slide a knife around the edges of the cheesecake to loosen and remove spring-form. Place in fridge for up to 4 hours prior to cutting and serving.